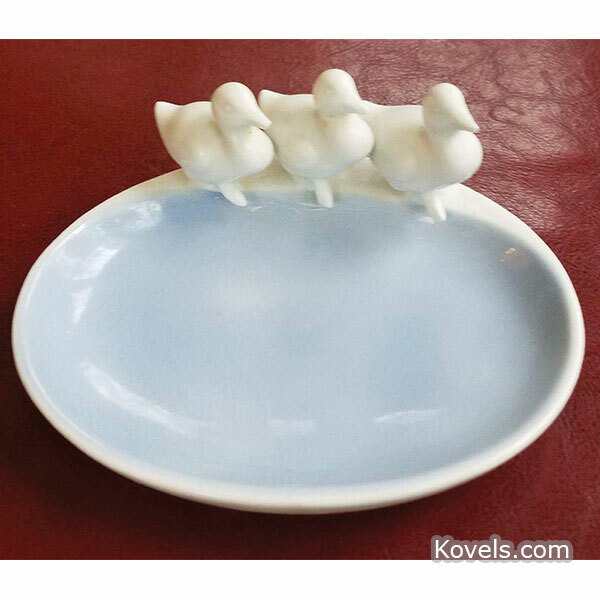 Q: This dish was my grandmother’s. Her parents were from Germany, so I was wondering if this was something they brought over to the U.S. with them. Or maybe it’s not that old at all! Q: I’ve had this sterling silver box in the shape of a temple for over 40 years and still know nothing about it. 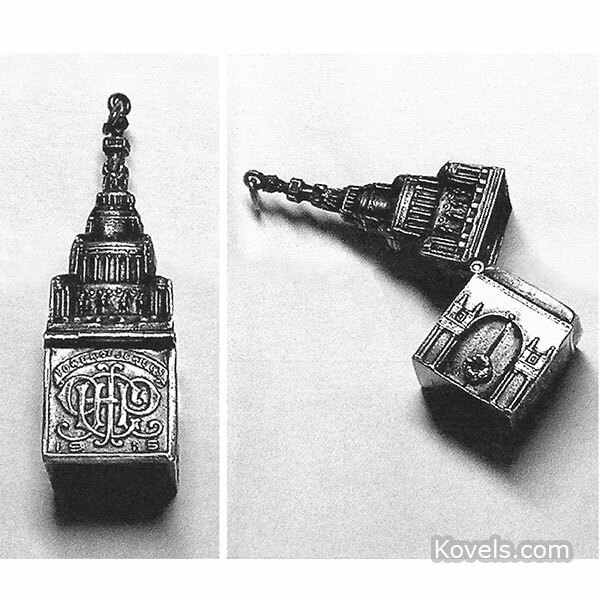 It says “Compliments of Islam Temple, San Francisco” on the front and “Tower of Jewels, 1915” on the back. The bottom is marked “Shreve & Co.” There are two little florets on each side that lift a small tray on the inside of the tower. It’s about 2 inches tall and 5/8 inch square on the bottom. 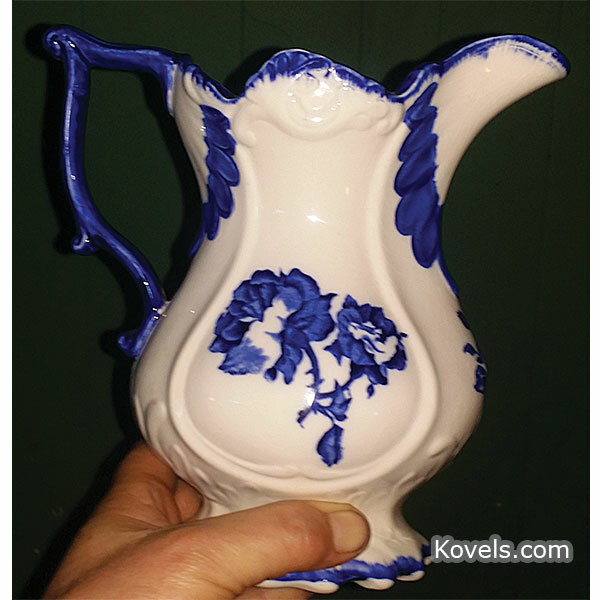 Q: A neighbor gave me an Ironstone Staffordshire pitcher from England that has a stunning blue rose print. It’s about 6 inches high. A very large mark with “Victoria” and “Ironstone, Staffordshire, England” on the bottom. I’m not even close to knowing anything about this and just want an idea of what it’s worth. Q: While cleaning out a box of old family things, I found a bowl that was one of my Mom’s special possessions. It’s one of the few things that survived our house fire in 1972. 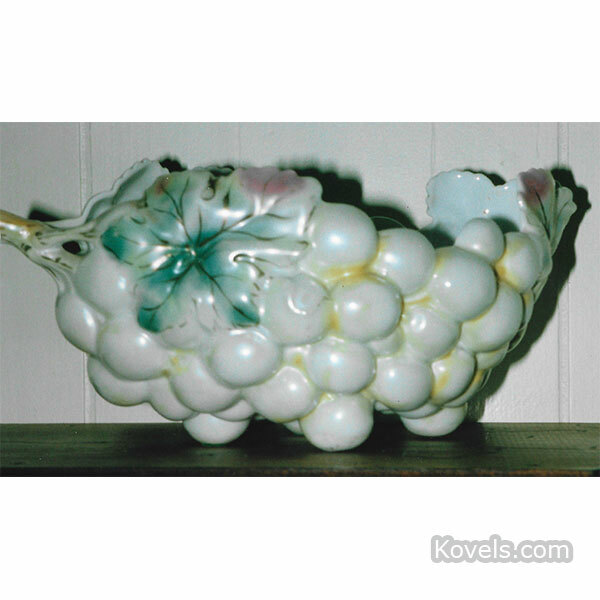 The bowl is shaped like a cluster of grapes with a pearlized finish. The only mark on the bottom is “Germany.” What can you tell me about it – where was it made and what is its value? Q: What is an M&M candy container shaped like a motorcycle rider worth? 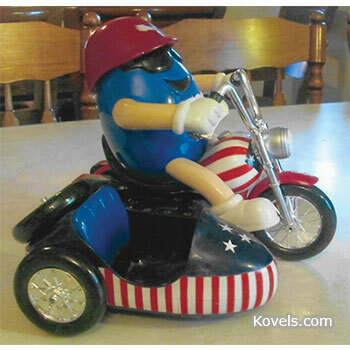 A blue M&M wearing sunglasses and a red hat is riding on a red, white, and blue motorcycle with sidecar. His helmet can be removed to put in the candy. When you push on his foot, the candy comes out and falls into the sidecar. It is 9 inches long and 8 inches high. 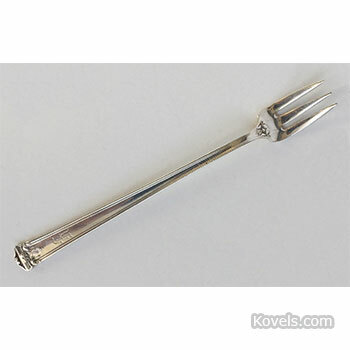 Q: Can you tell me what these 12 little silver-plated forks were used for, who made them, and what they are worth? They are marked H. & T. Mfg. Co.
Q: I’m 90 years young. These figurines were my mother’s. They are about 12 inches high. I’ve always loved them but know nothing about them. Each baby is marked on the bottom in light red “Design Registered 6161.” Can you tell me anything about them? 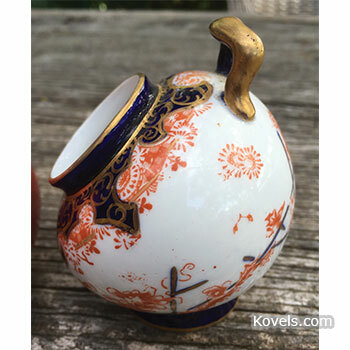 Q: What is the value of this Royal Crown Derby vase please? I would like to sell it. 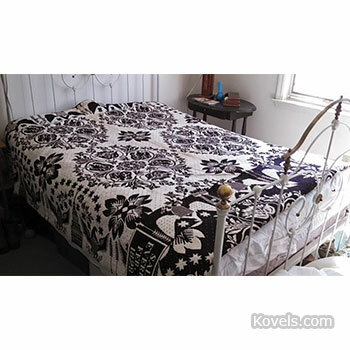 Q: I have a woven blanket and was wondering if you could tell me what it’s worth. It was made in 1828 by Sally Everett. When my Mom died, it was given to me.